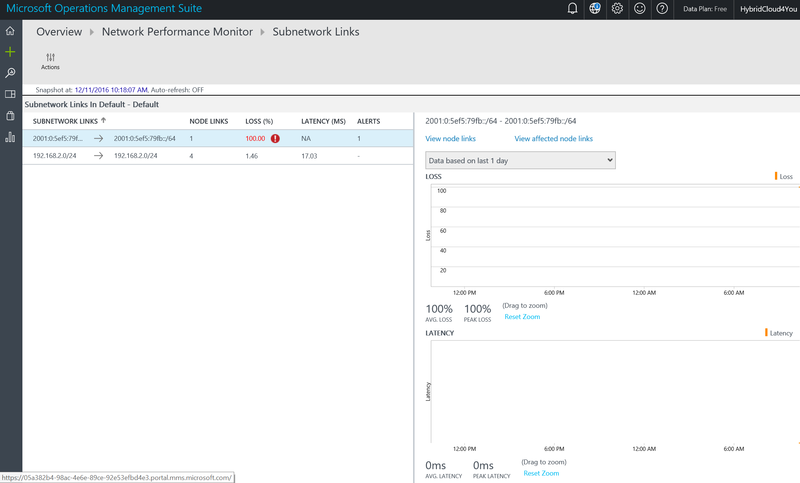 Service Map in #MSOMS automatically builds a common reference map of dependencies across your servers, processes, and third-party services. 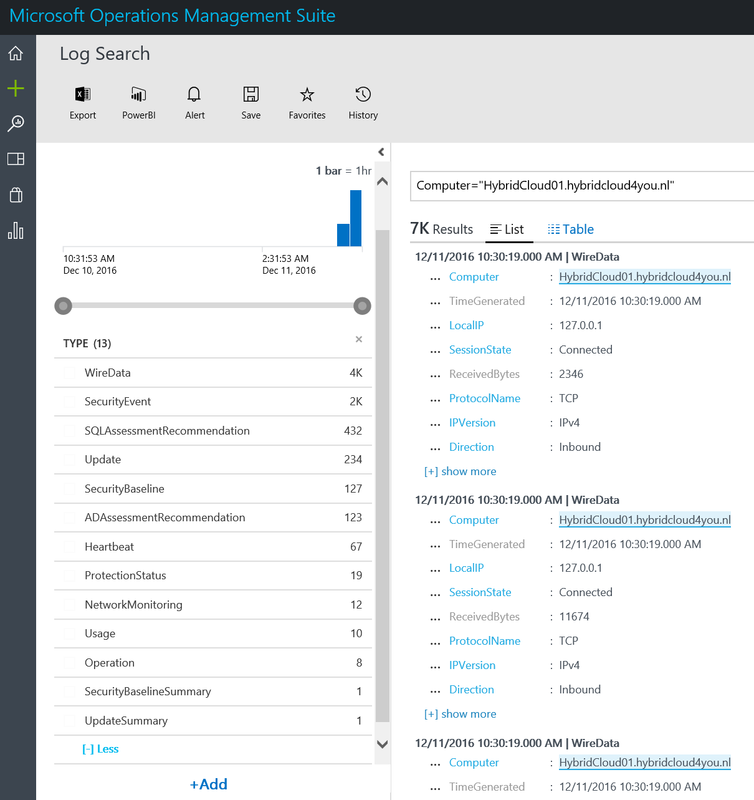 It discovers and maps all TCP dependencies, identifying surprise connections, remote third-party systems you depend on, and dependencies to traditional dark areas of your network such as Active Directory. 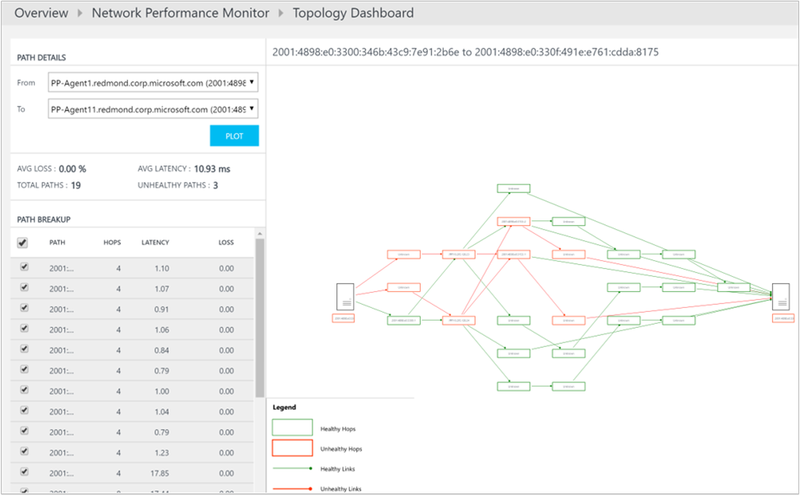 Service Map discovers failed network connections that your managed systems are attempting to make, helping you identify potential server misconfiguration, service outages, and network issues. 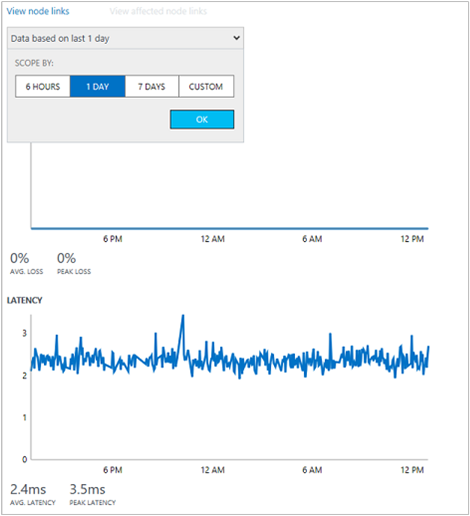 You now can see that the Previous Service State Running is changed in Stopped. 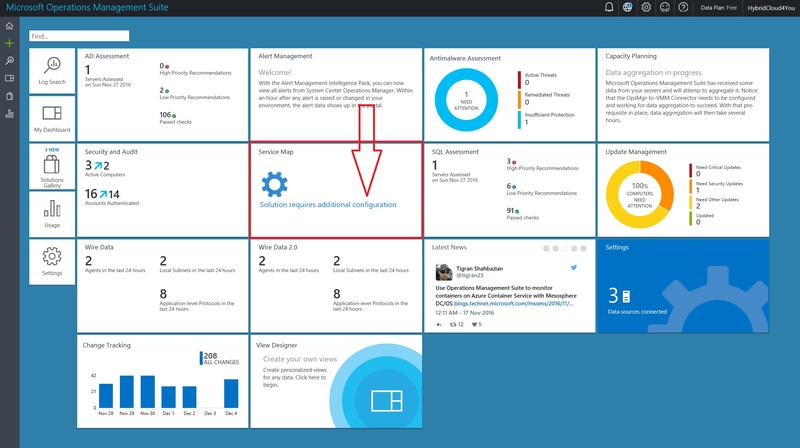 With Microsoft OMS Runbooks you can make Automation solutions for Hybrid IT Events. 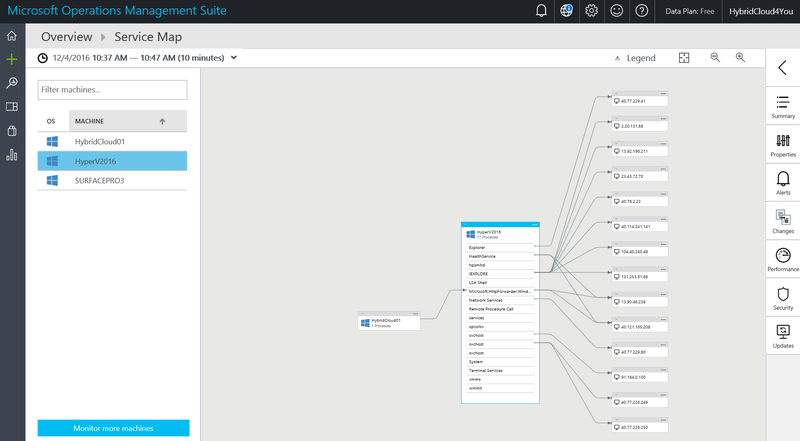 Service Map gets its data from the Microsoft Dependency Agent. 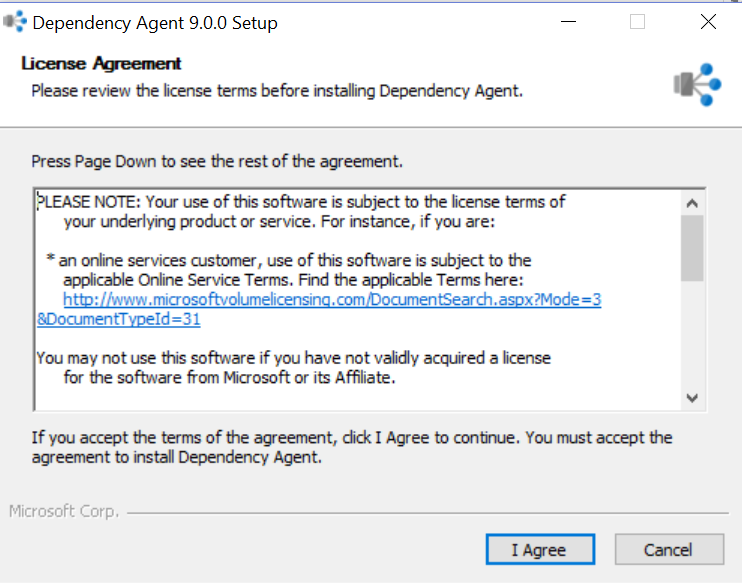 The Dependency Agent is dependent on the OMS Agent for its connections to OMS. 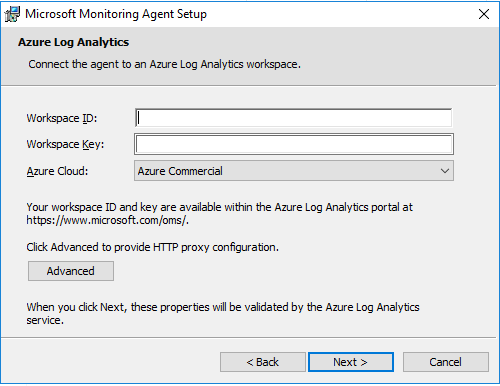 This means that a server must have the OMS Agent installed and configured first, and then the Dependency Agent can be installed. 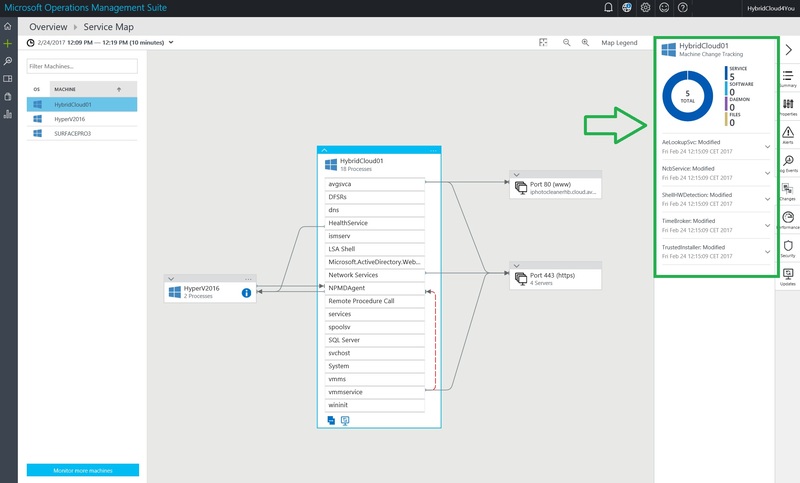 The following table describes the connected sources that are supported by the Service Map solution. 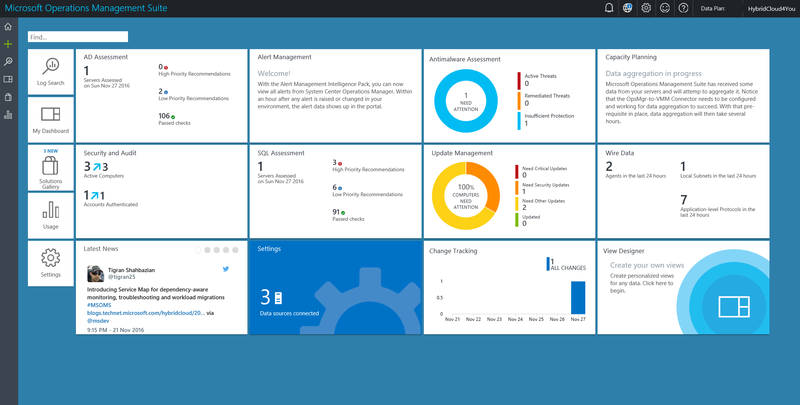 Categories: Azure, Azure Security, Containers, Docker, Hyper-V, Linux, Microsoft Azure, OMS, SCOM2012, SQL, System Center 2012 R2, System Center 2016, System Center vNext, Windows Containers, Windows Server 2012 R2, Windows Server 2016, WindowsAzure | Tags: Azure, HybridCloud, Linux, Microsoft, MSOMS, OMS, ServiceMap, sysctr | Permalink. 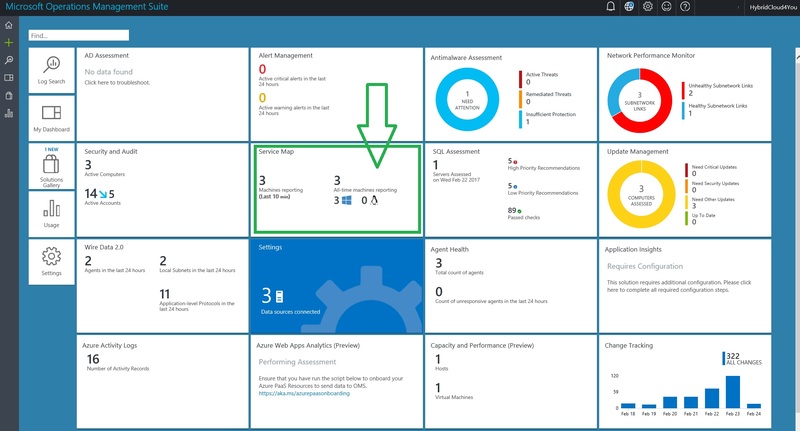 Assess the risk and health of major workloads such as Active Directory and SQL. 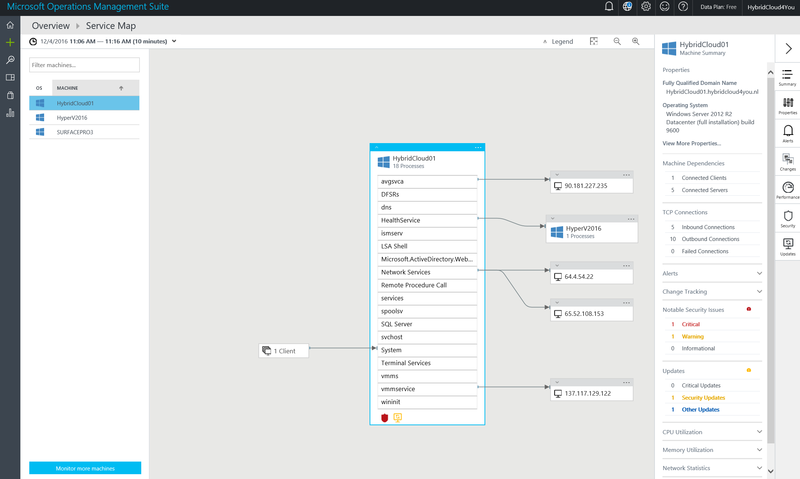 Categories: Azure, Azure Security, Containers, Docker, Microsoft Azure, Office365, OMS, SCOM2012, SQL, System Center 2012 R2, System Center 2016, Windows Server 2012 R2, Windows Server 2016, WindowsAzure | Tags: Analytics, Azure, Cloud, DevOps, HybridCloud, Linux, MSOMS, OMS, VMWARE | Permalink. 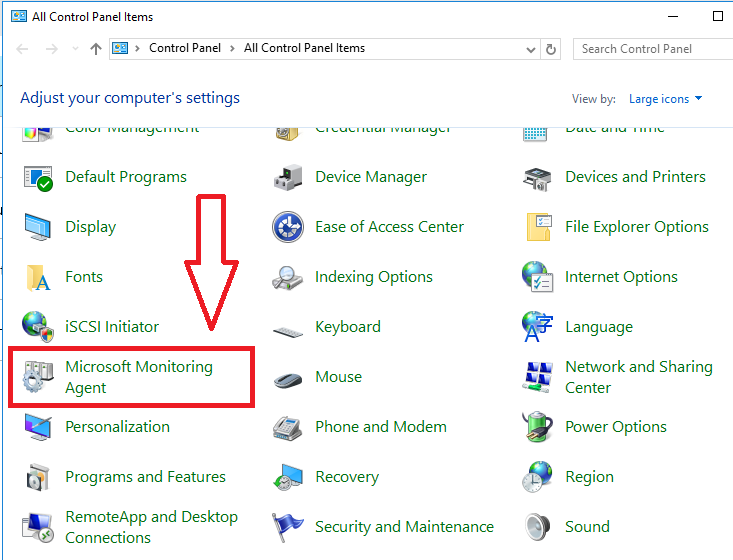 Typical network monitoring products focus on monitoring the network device (routers, switches etc.) 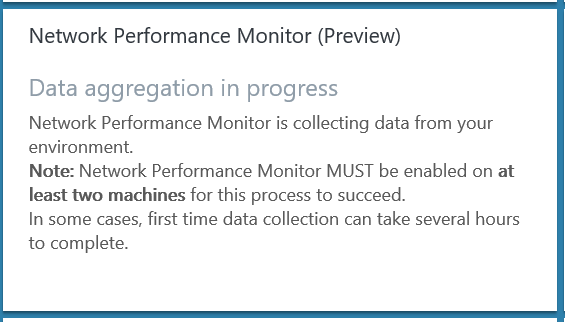 health but do not provide insights into the actual quality of network connectivity between two points, which Network Performance Monitor does. 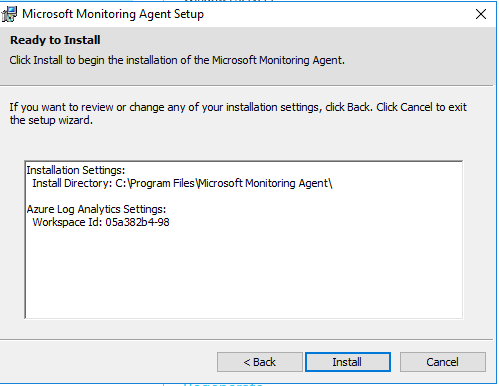 When you have added the Microsoft OMS Network Performance Monitor (Preview) to your Dashboard you have to install OMS agents and configure them in an easy way to start the Network Performance solution and getting results. 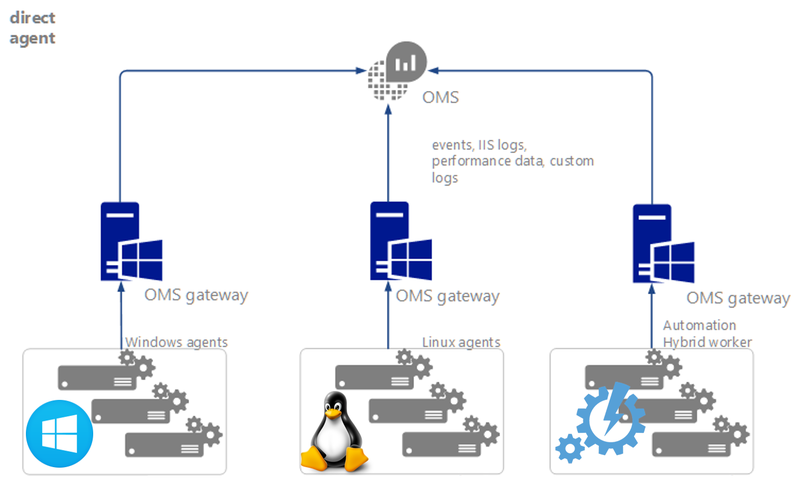 In order to work with OMS, OMS agents are required to be installed on all servers of interest. 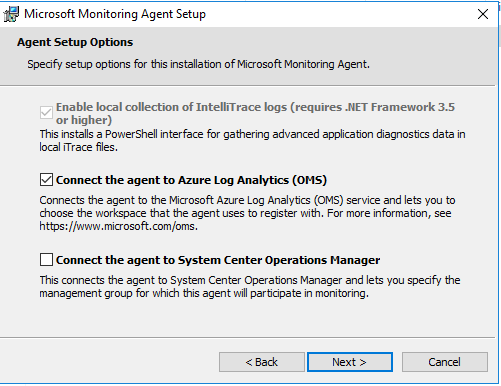 NPM requires agents to be installed on at least 2 servers to monitor the connectivity between them. 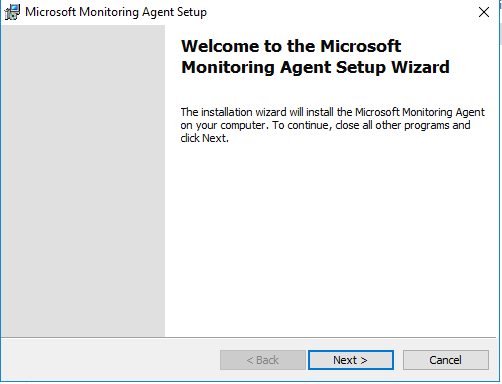 We recommend that for every subnet that you want to monitor, select two or more servers and install the agent on them. 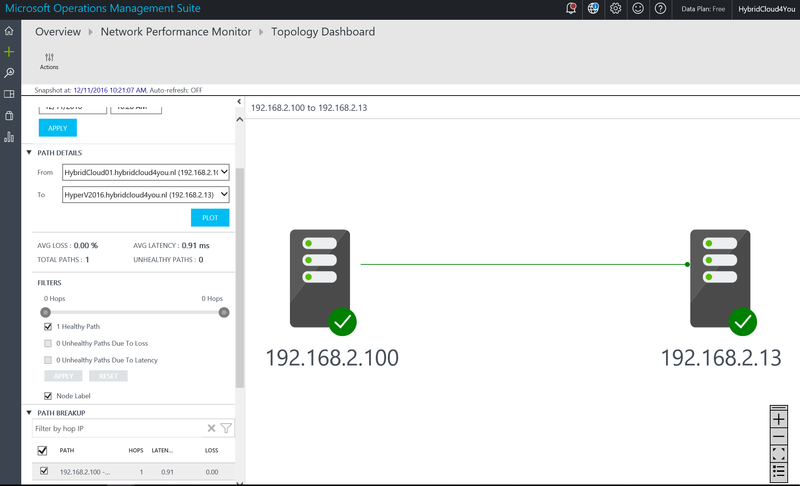 If you are unsure about the topology of your network, simply install the agents on critical workloads for which you want to monitor the network performance. 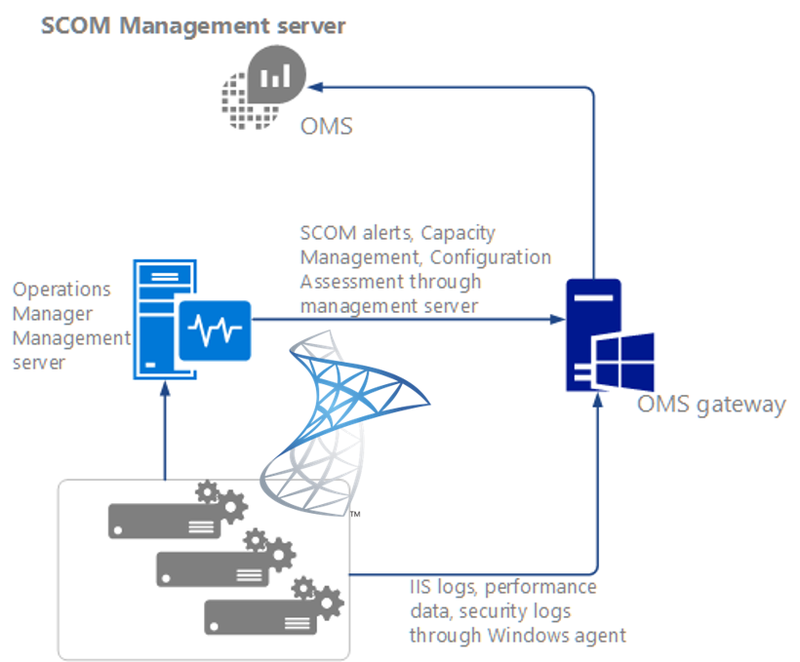 Once the NPM solution is enabled on your OMS workspace the required management packs for NPM will automatically flow down to the machines that are connected to OMS via SCOM. In case you want to connect SCOM with OMS but haven’t figured out how to do it yet, click on the link below. 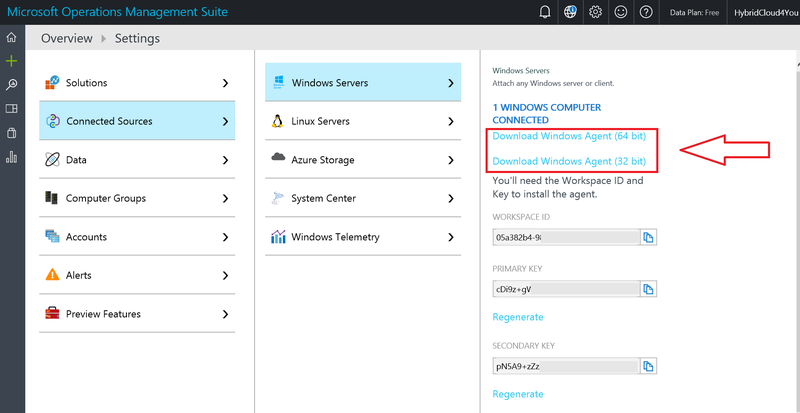 Firewall ports are required to be opened on the servers so that the agents can connect to each other. The port opened by default would be 8084. 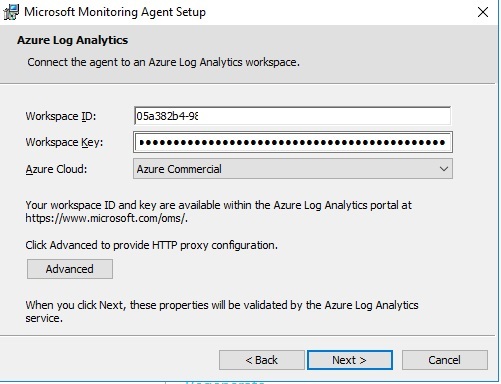 You have the option of using a custom port by providing the parameter ‘portNumber’ to the script. 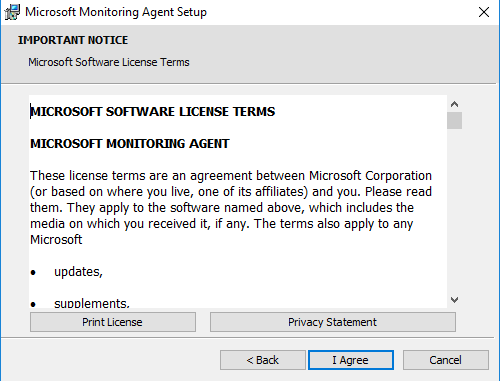 However, the same port should be used on all the machines where the script is executed. 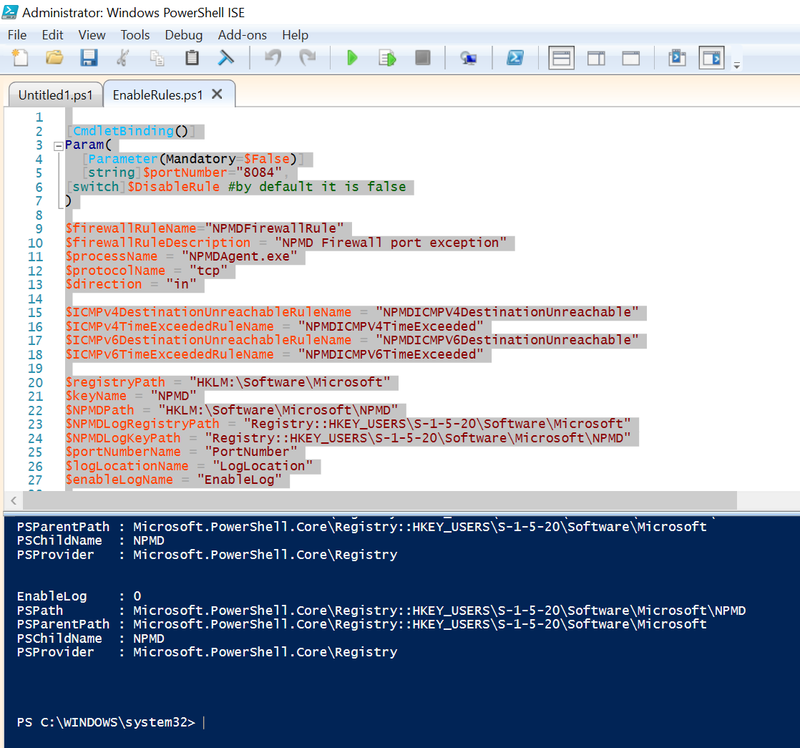 Run the Powershell script as Administrator on your Servers. A ‘Network’ in NPM is a container for a bunch of subnets. 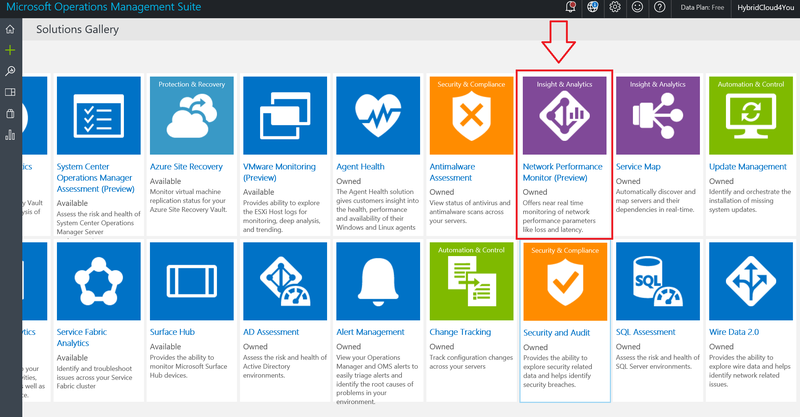 The Default network is the container for all the subnets that are not contained in any user defined network. 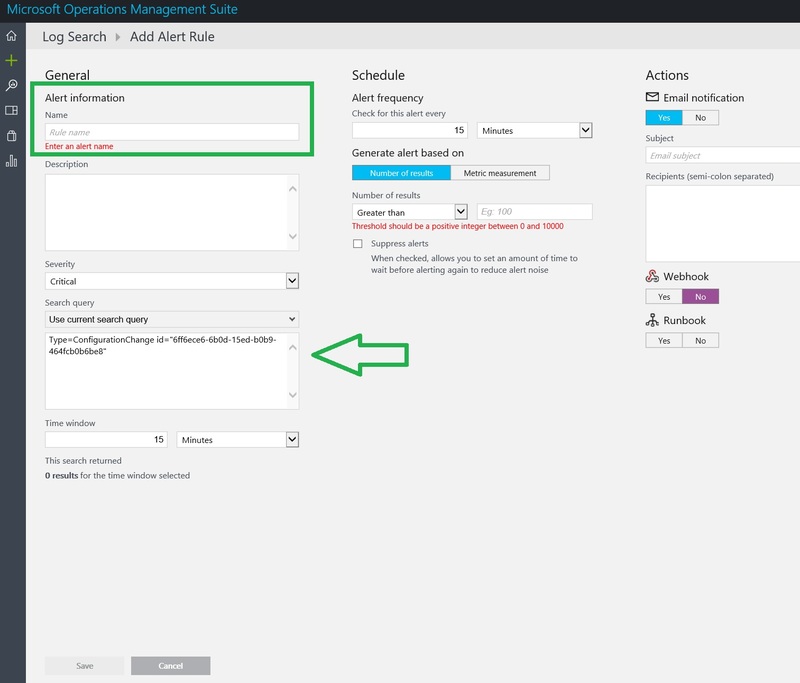 In the most likely case the subnets in your organization will be arranged in more than one network and you should create one or more network to logically group your subnets. 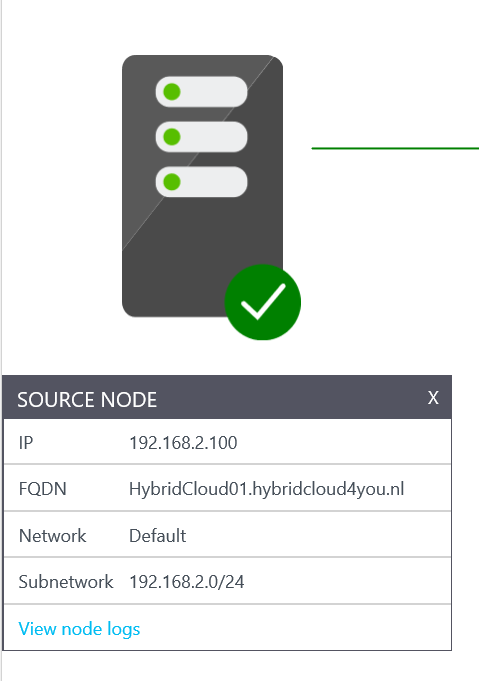 You can create network with any name that meets your business requirements and add the subnets to the network. 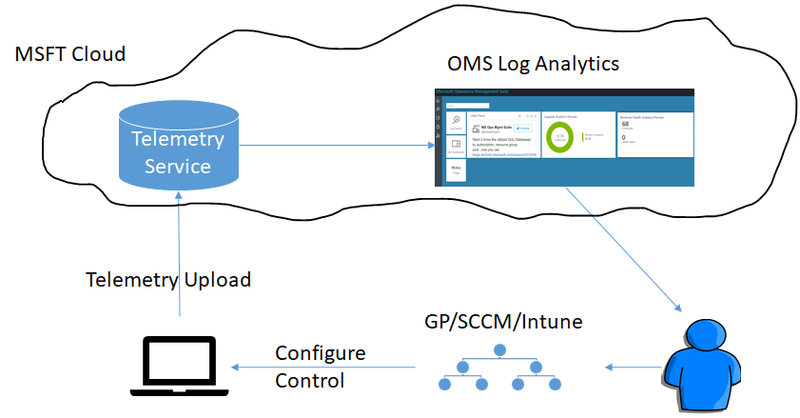 The OMS Performance Monitor Solution needs time to get the information of your network. 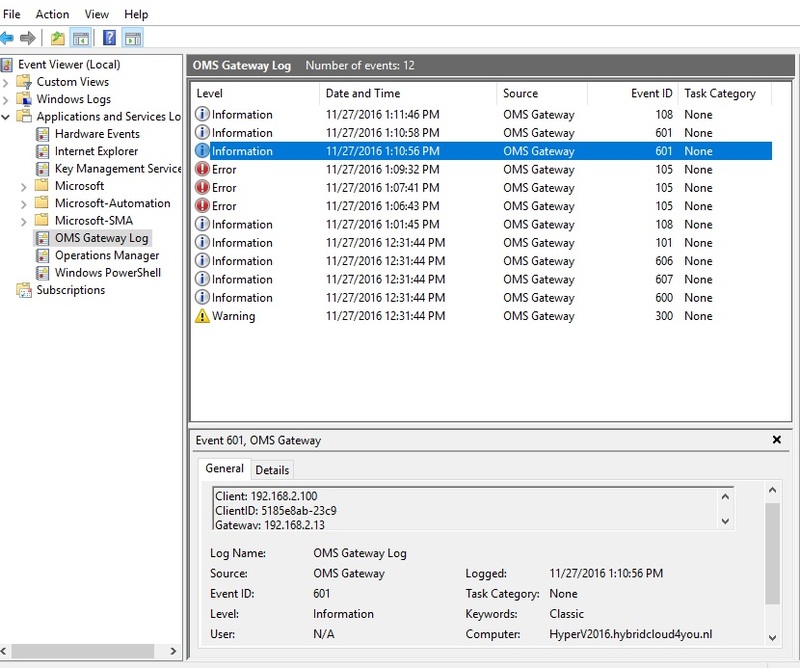 When something is wrong you can go directly to the View Node Logs. 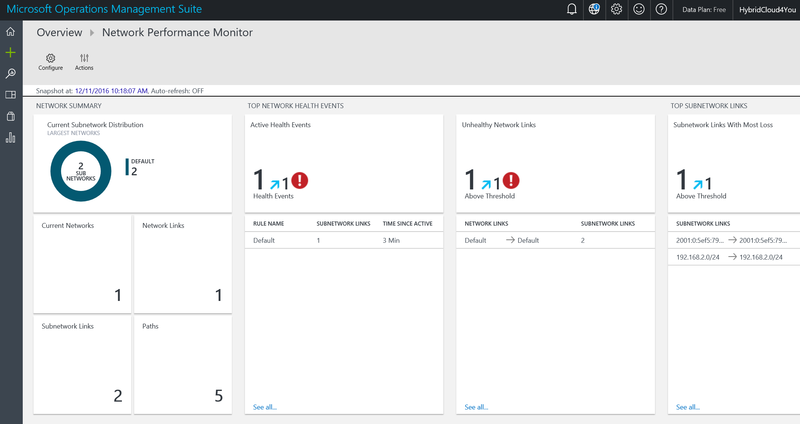 The OMS NPM solution is still in preview but you can test it in your test environment to learn and get a better network by eliminating your network issues. 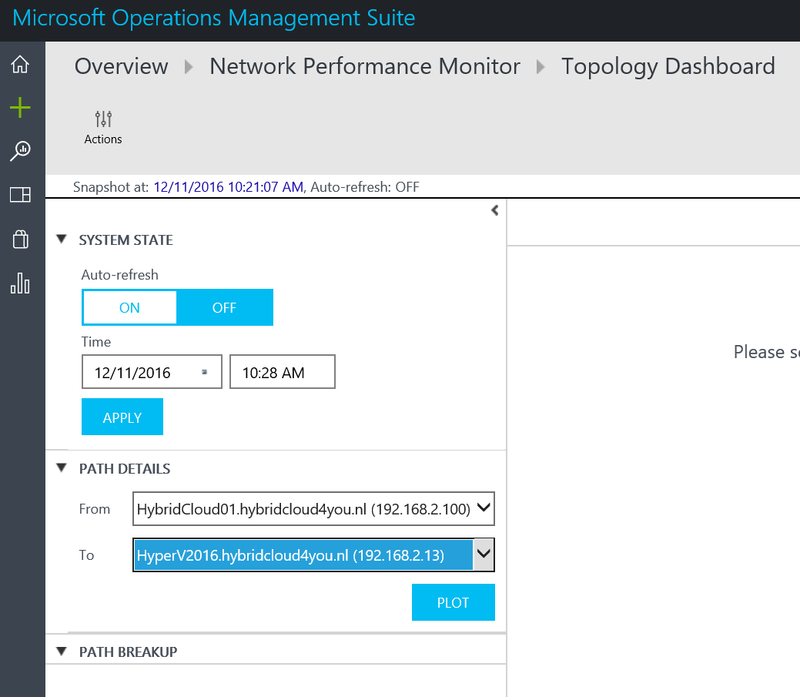 Hope this blogpost is useful for you to get your network in Control with Hybrid IT Management of OMS Services. 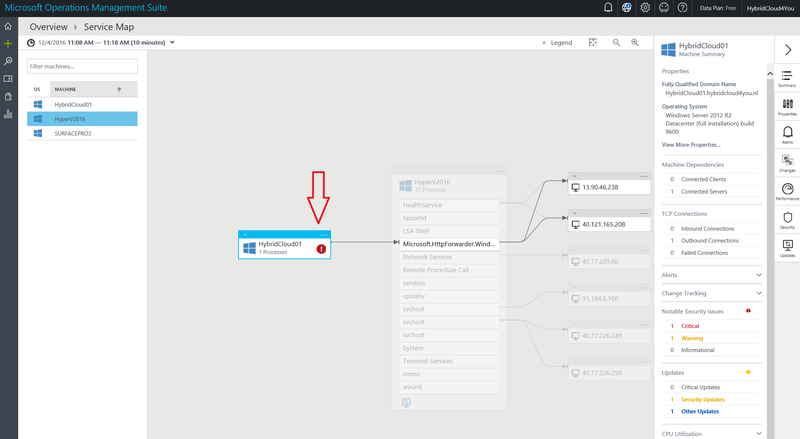 Categories: Azure, Microsoft Azure, OMS, System Center 2016, Windows Server 2012 R2, Windows Server 2016, WindowsAzure | Tags: Cloud, HybridCloud, HybridIT, Linux, Microsoft, MSOMS, Network, NPM, OMS, SCOM, winserv | Permalink. 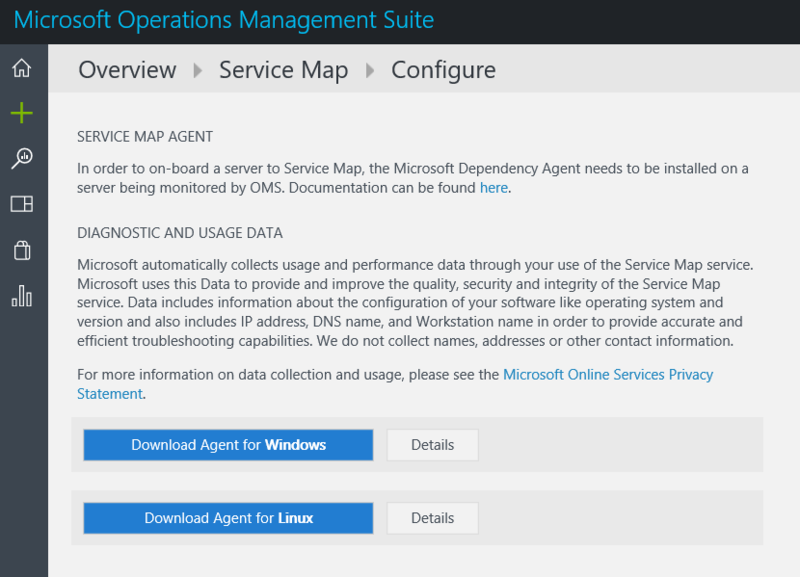 Service Map automatically discovers application components on Windows and Linux systems and maps the communication between services. 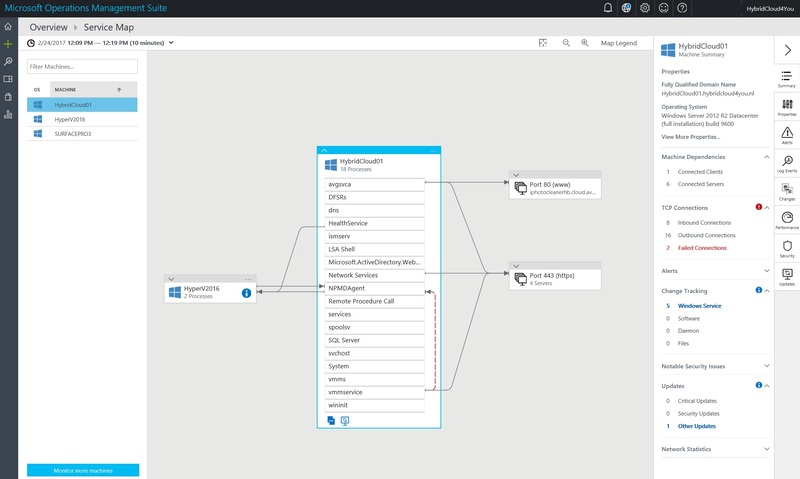 It allows you to view your servers as you think of them – as interconnected systems that deliver critical services. 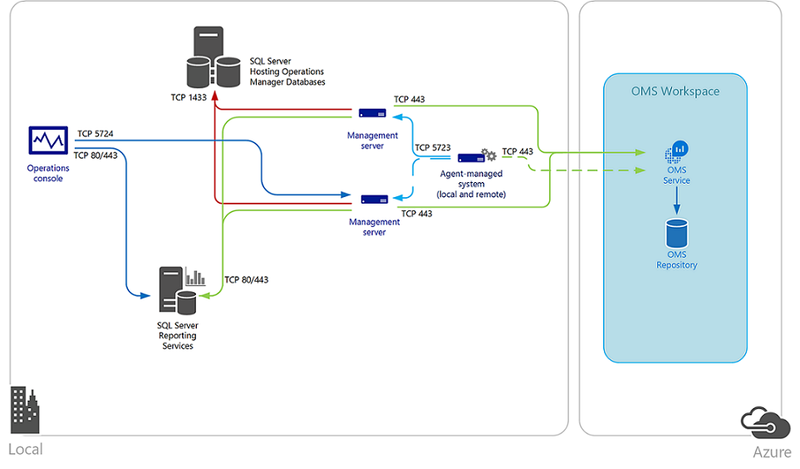 Service Map shows connections between servers, processes, and ports across any TCP-connected architecture with no configuration required other than installation of an agent. 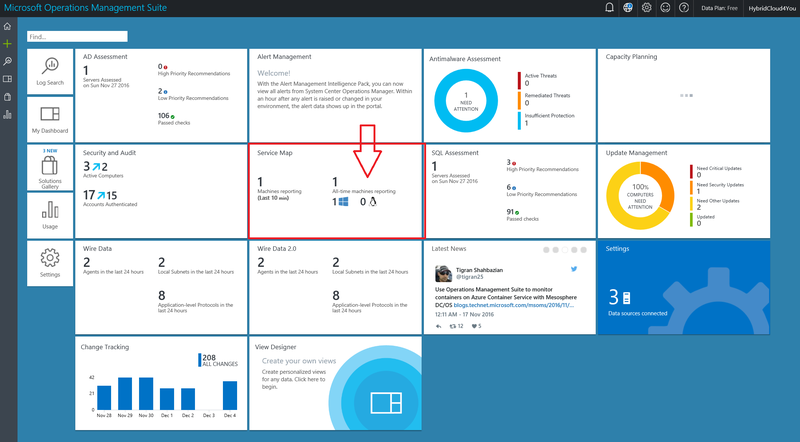 Click on the Service Map Tile. 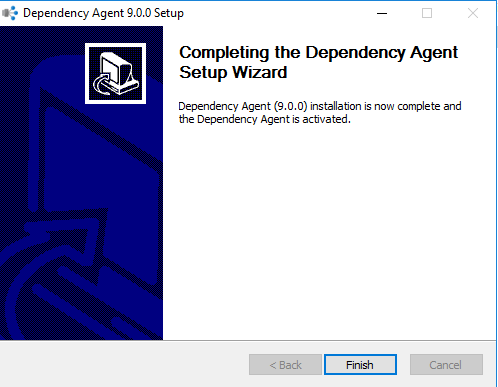 Download your dependency Agent here. 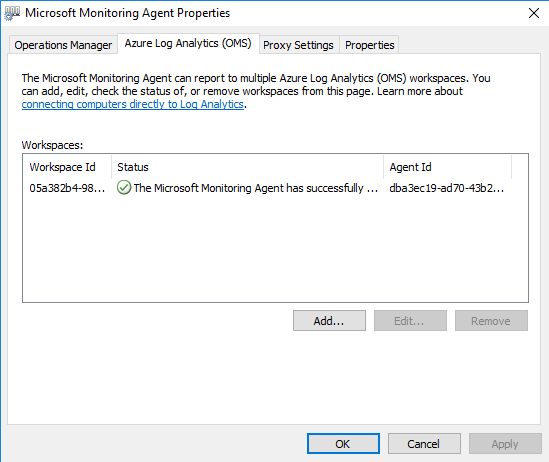 The Microsoft Dependency Agent is running together with the OMS Agent. 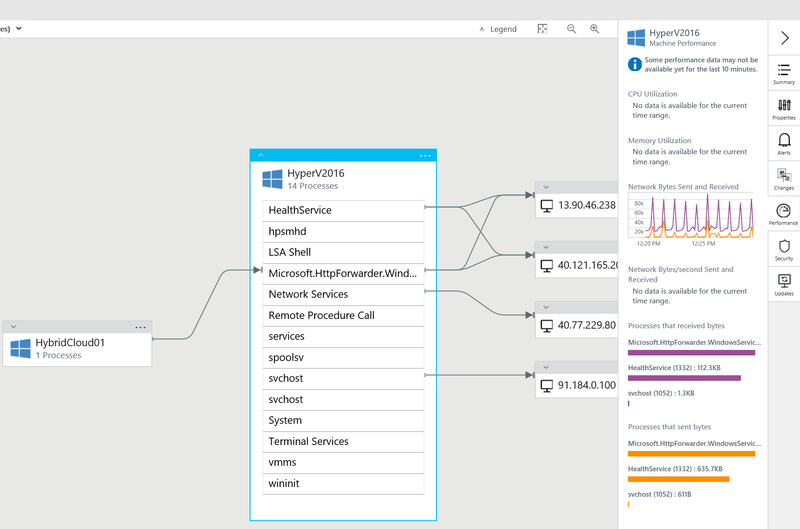 Service Map of HyperV2016 Server. 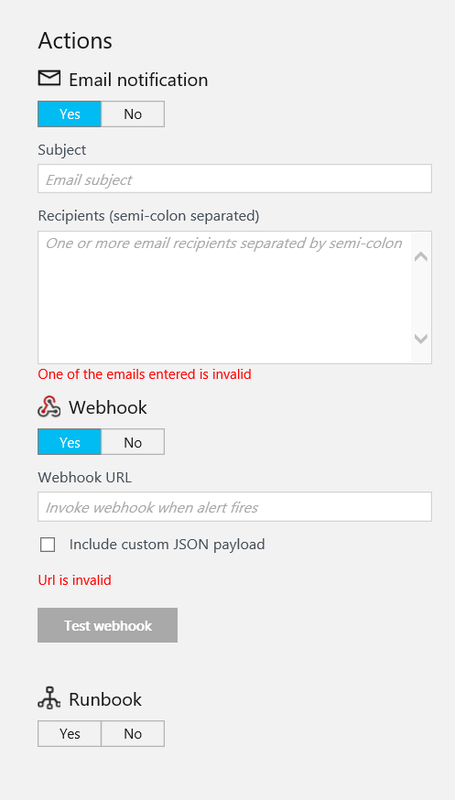 Click on this HybridCloud01 Server alert. 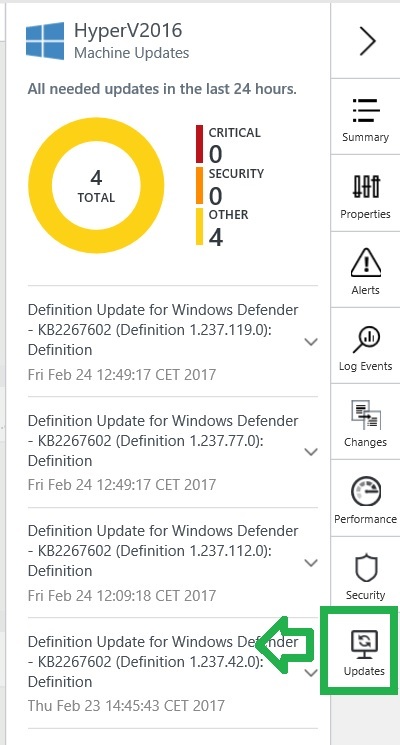 Here you can see that I miss a Security Update on this Server. 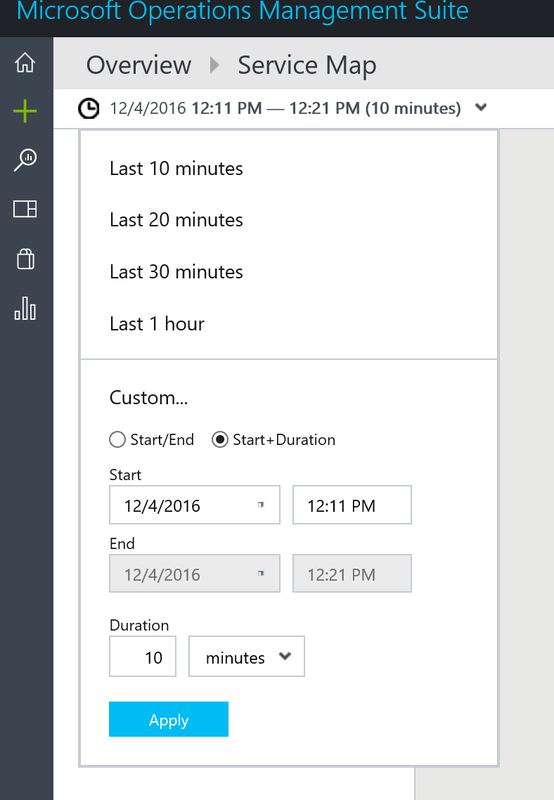 OMS Service Map Schedule View settings. 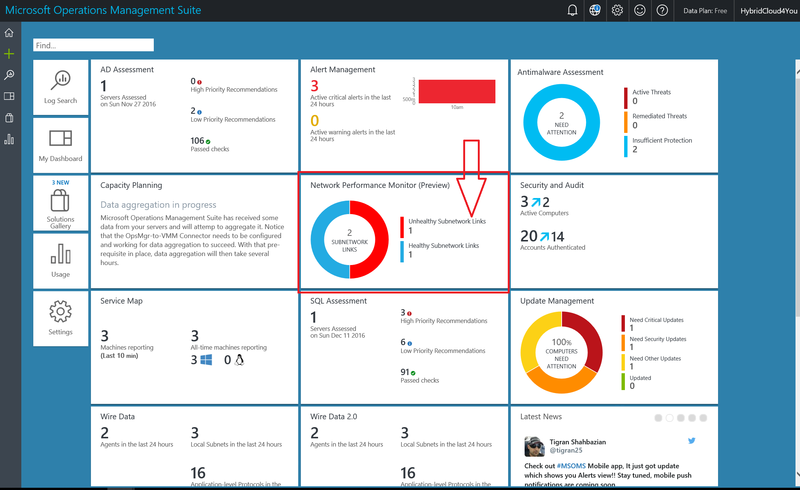 Here you see the OMS Gateway Performance via Service Map. 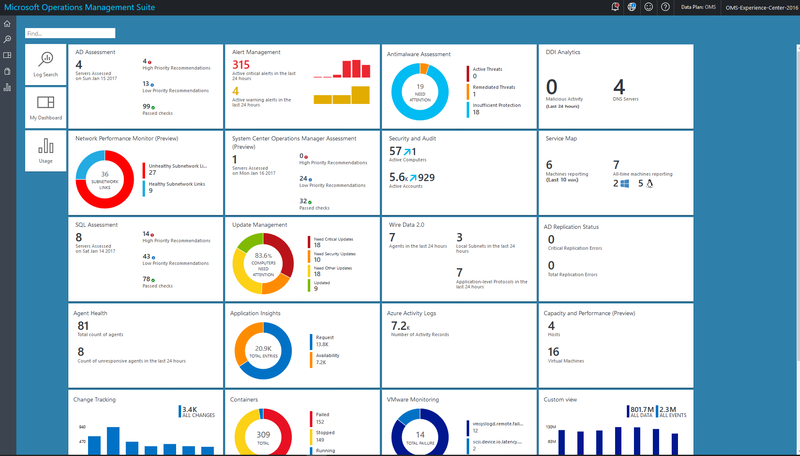 Categories: Azure, Azure Security, Linux, Microsoft Azure, OMS, PowerShell, SQL, System Center 2012 R2, System Center 2016, Uncategorized, Windows 10, Windows Server 2012 R2, Windows Server 2016, WindowsAzure | Tags: Azure, Cloud, HybridCloud, Linux, Microsoft, MSOMS, OMS, SCOM, ServiceMap, sysctr | Permalink. 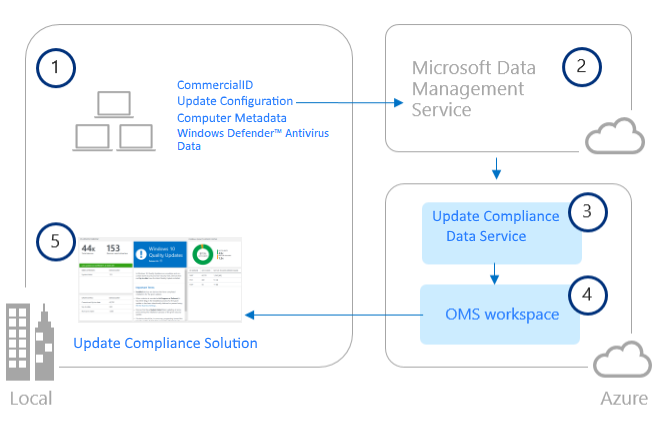 Instead of each individual agent sending data directly to OMS and requiring a direct Internet connection, all agent data is instead sent through a single computer that has an Internet connection. 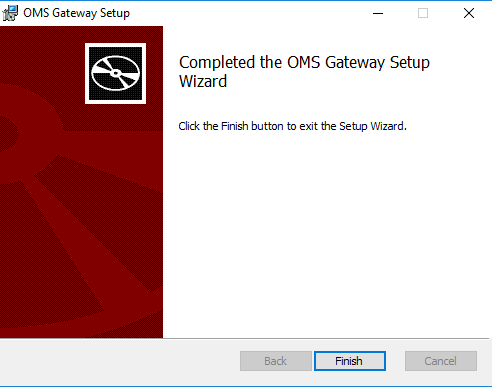 That computer is where you install and use the gateway. 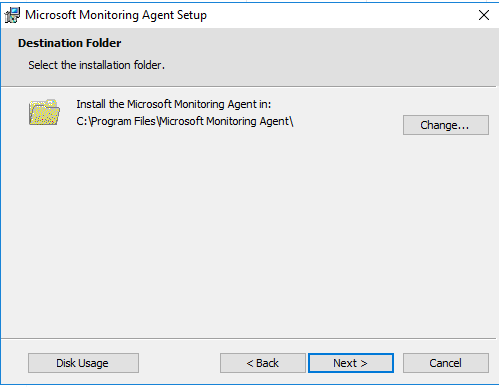 In this scenario, you can install agents on any computers where you want to collect data. 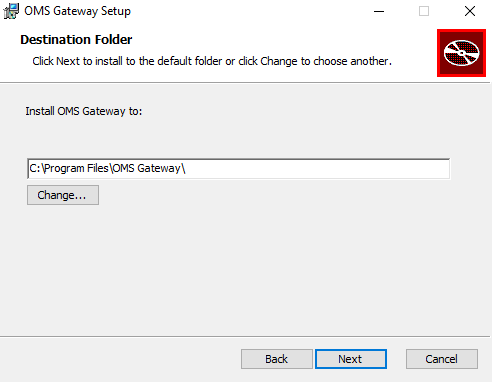 The gateway then transfers data from the agents to OMS directly. 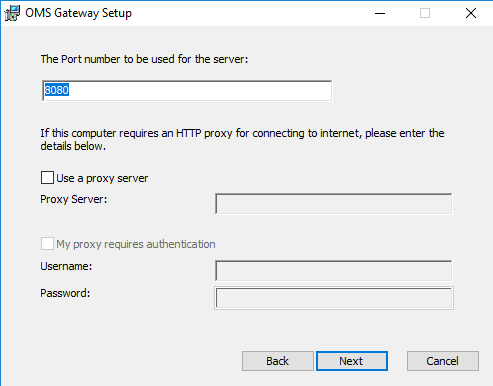 I used the default port 8080 for the Gateway. Copy => Paste your OMS Workspace ID and Key. 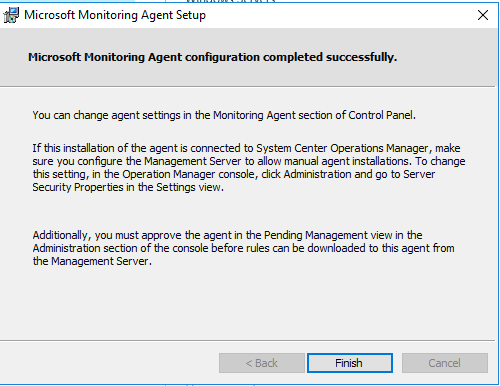 Here you can see the OMS Agent Connection settings. 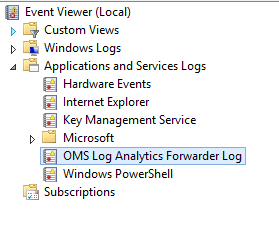 When you wait for a few minutes you will see the connection in the Portal of OMS. 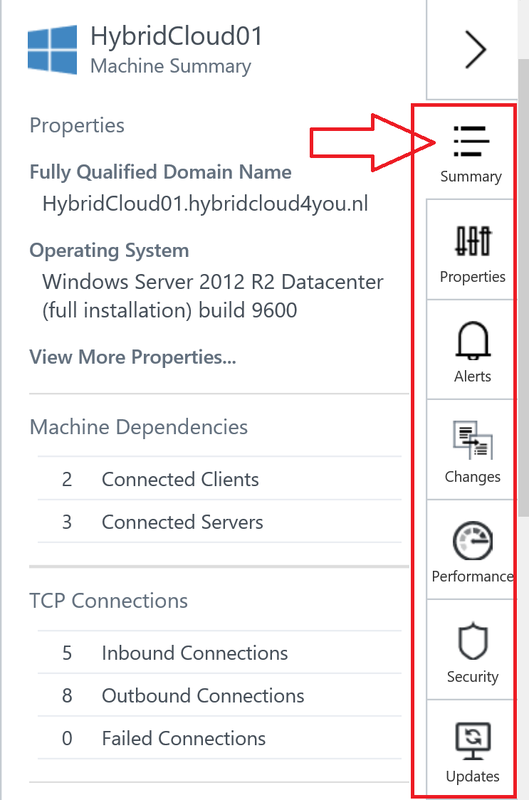 After this I installed the OMS Agent on One of my Domain Controllers with OMS Gateway settings //HyperV2016.hybridcloud4you.nl:8080. 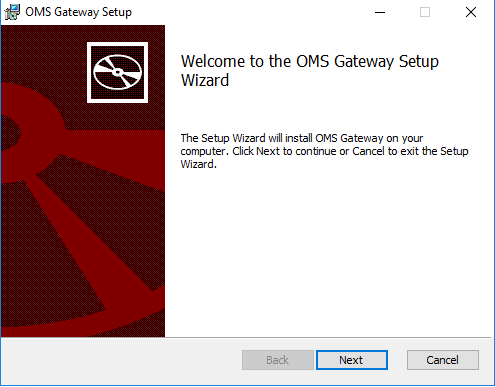 It is also possible to connect your System Center Operations Manager (SCOM) on-premises to the OMS Gateway. 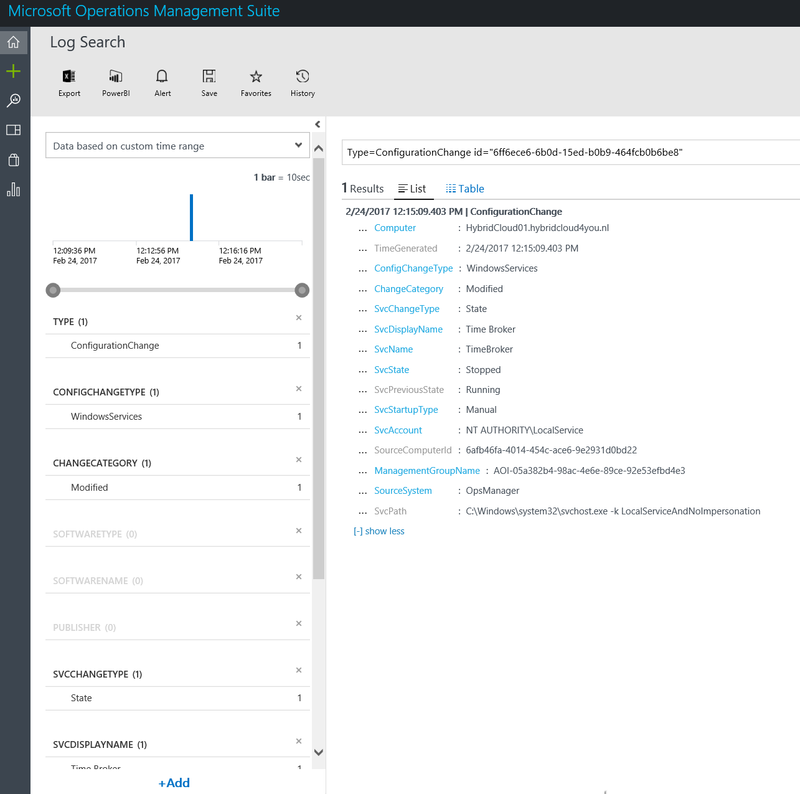 Then you don’t have to connect your SCOM Management Server directly to the internet to OMS. 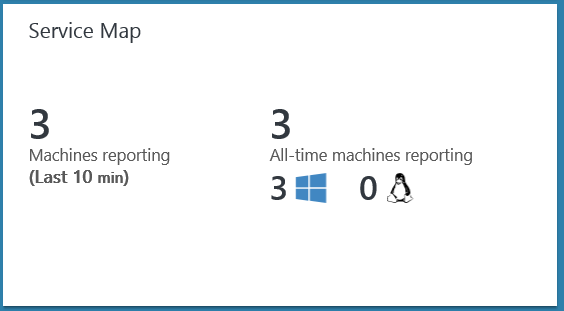 Categories: Azure, Microsoft Azure, OMS, System Center 2012 R2, System Center 2016, Windows 10, Windows 8, Windows Server 2012 R2, Windows Server 2016, WindowsAzure | Tags: Azure, Cloud, Gateway, HybridCloud, Linux, Microsoft, MSOMS, OMS, SCOM, sysctr, VMWARE | Permalink.